4k00:10A recreational motorboat approaches the lake's waterway that leads into a larger body of water. Ites away from the camera. 4k00:12Wonderful scene of island in the sea with jetty and yachts along the seashore. Balinese landscape of blue sky and turquoise water. Indonesian breathtaking colours of the ocean and sky. 4k00:19Aerial view of the northem coast in Europe with a sailboat anchored and some birds. 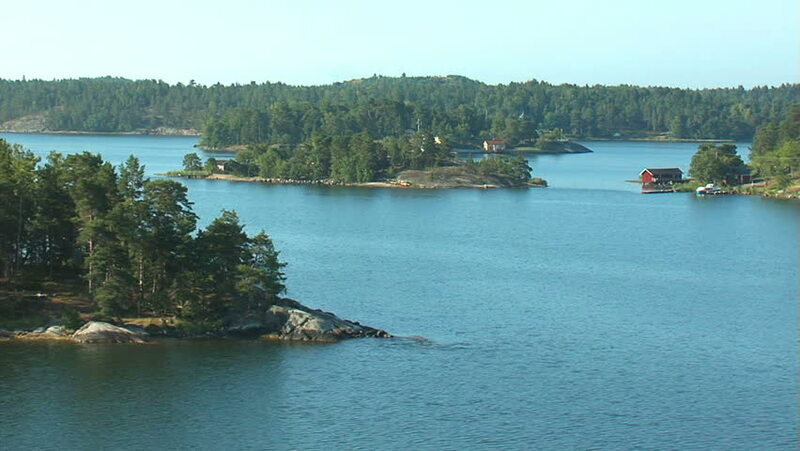 4k00:35Aerial view on small islands, islets and narrow inlets of Stockholms Archipelago just minutes away from Swedens capital, revealing the shoreline. Wilderness, nature and travel concept, panning shot.